Many Couples only resorts are almost sold out New Year's Eve. Call 800-8056-3559 for Cancellations or Other Places to Stay! New Years Eve Packages: Split Rock, Pocono Manor, Pocono Palace will do 2 night on non-pool rooms rates starting at $930.00 for the 2 nights inclusive. Howard Johnsons, Bartonsville, PA is having a party and rooms available. Chateau is having a party, rooms still available. 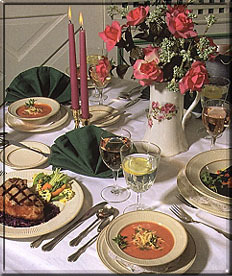 Crescent Lodge - Paradise Valley, Cresco, PA - Two Night Minimum. Four-star Country Lodge New Years Package. Package includes lodging, deluxe continental breakfast daily, a special New Years Eve dinner is available in the the onsite restaurant at additional cost. This 4 star country lodge is in the geographical center of the Pocono Mountains with Snowboarding, Downhill and Cross Country skiing and snow mobiling nearby. 4 Star Restaurant onsite. 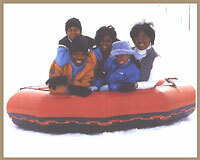 Cove Resorts Couples Only - New Years Eve Packages (Requires a 2 night Minimum) Couples only resorts with fun activities including snowmobiling (they make snow), game rooms, nightclub, New Years Eve Party, Breakfast and dinner daily, Breakfast in Bed, Cross country skiing, All resorts close to Poconos Downhill ski and snowboarding mountains. 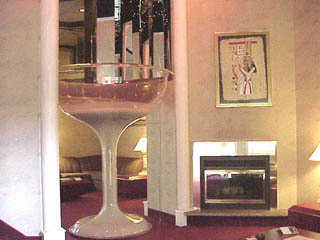 Rooms with jacuzzis, private pools, champagne tower whirlpools, saunas and massage tables in your private room. Fernwood Resort The New Year's Eve Snowtubing Bash package includes two nights of accommodations in a studio villa, two snowtubing tickets with a fireworks show on New Year's Eve and a $ voucher for food from the Wintergreens Barbecue starting from $299 per night. Upgrades to two bedroom villas that sleep six are available for an additional $ per night. Sit by the fire and watch fireworks as you welcome in 2018. 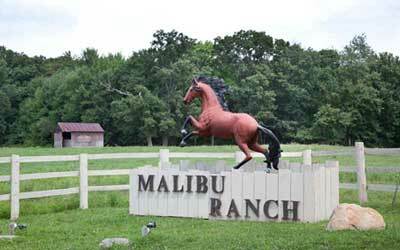 Malibu Dude Ranch - Ring in the New Year with a New years Eve Package. Live entertainment cocktail party and champagne toast at midnight. .... Come and enjoy an Old West cowboy style vacation and plenty of horseback rides with our wranglers on scenic mountain trails in a mature forest. Our all-inclusive packages by the day, overnight, weekend or weekly allow you to just park your vehicle and begin to enjoy all the amenities and meals throughout your stay.